She has Rolls Royce among others, costing Rs. 2 crore. Maserati which costs a whopping 1.5 Crore. Hrithik is the owner of several luxury cars such as Mercedes S500 and Jaguar XJ, with the S500 worth Rs 1.5 crore. 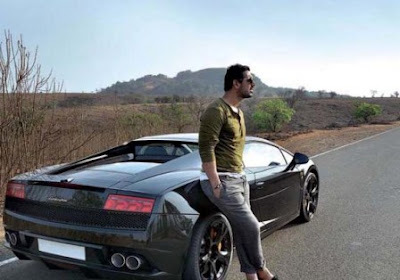 John has a 2013 Black Lamborghini Gallardo and a modified Maruti Gypsy. The Gallardo is worth a massive Rs 2 crore. The Audi R8 in his collection costs Rs 2 crore. 599 GTB, worth over Rs 3 crore. Rolls Royce Phantom, costing Rs 3.5 crore. He also frequently drives across in a Mini Cooper. A bomb proof car for special protection from threats received against his TV show Satyamev Jayate. The specially built Mercedes S600 luxury sedan costs a whopping Rs 10 crore. His list of cars includes the Bugatti Veyron, the fastest production vehicle in the world, as also a BMW sports car. The Veyron reins in at a huge Rs 12 crore.